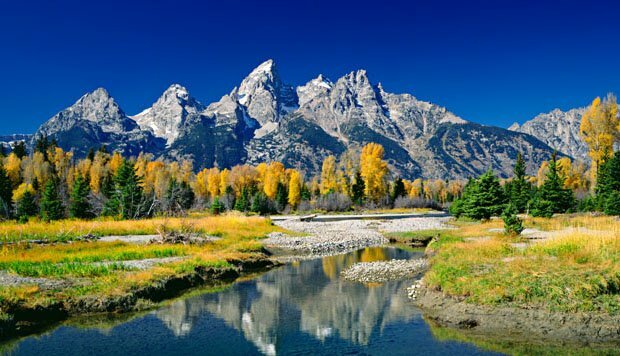 Jackson Hole is a perfect blend of Old West charm and modern convenience, and is also the closest town to both Yellowstone and Grand Teton National Parks. 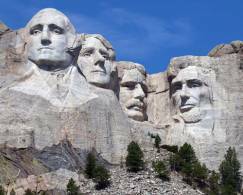 Come out west and see why a great place to start your RV rental vacation is at the home of the first national park in the country. Starting your motorhome rental vacation in Jackson allows your family to see the most the parks have to offer in a short period of time. 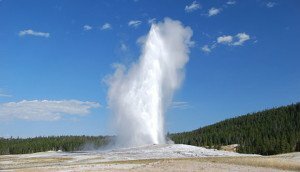 Yellowstone is one of the top destinations for motorhome vacations with 13 campgrounds inside the park. The only RV campground inside Yellowstone with full hookups (water, electricity and sewer) for motorhomes and travel trailers is Fishing Bridge located near the North end of Yellowstone Lake. All campgrounds inside the park operate on a first come, first serve basis. Fishing Bridge does accept reservations on about half of their camp sites. Never worry about driving back to the hotel at night, with a camper for hire you are always self contained and can stay anywhere. Weekends are always busier with the season starting mid June and going through September. There are also some great RV campsites located outside Yellowstone near the South entrance looking onto the Teton Mountain range. 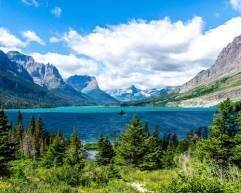 Access RV Rentals provides details on an RV vacation itinerary to help with your motorhome vacation. Access RV Rentals provides rental motorhomes that are current year model and fully self-contained. Jackson Hole Airport now has several direct flights from across the country to better accommodate those that want to fly n’drive with a motorhome rental. For list of flights to Jackson Hole Airport Click Here. Access RV Rental of Jackson is located just 15 minutes from the airport on the South side of town. Grocery, fuel and other major stores are close by to make your pick up of the RV rental quick and easy. Don’t hesitate! Call us at (801) 936-1200 to start planning your RV vacation or get a free RV Rental quote online so you can hit the road!